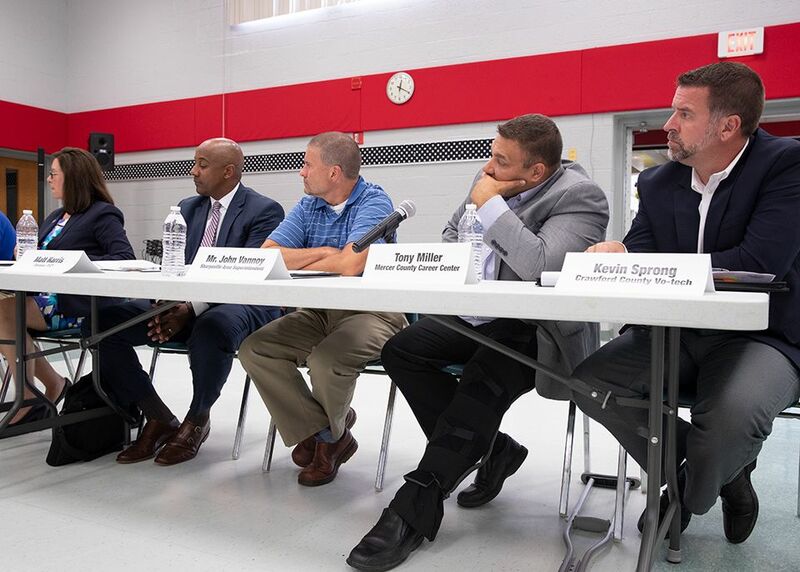 The horror of recent school shootings has sparked a heated national and statewide debate about effective solutions. 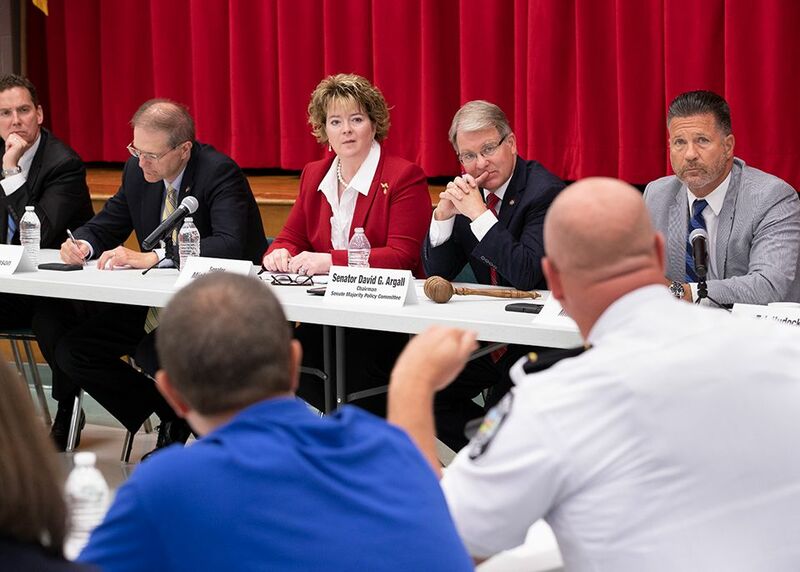 With $60 million in new school safety dollars added to this fiscal year’s budget, Sen. Brooks joined Senators Mike Regan, David Argall and Scott Hutchinson to examine the most pressing school safety needs and most effectual strategies with her local school superintendents, school board members, teachers, police officers, 9-1-1 staff, mental health experts and other stakeholders. 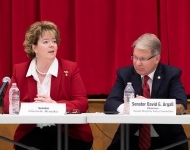 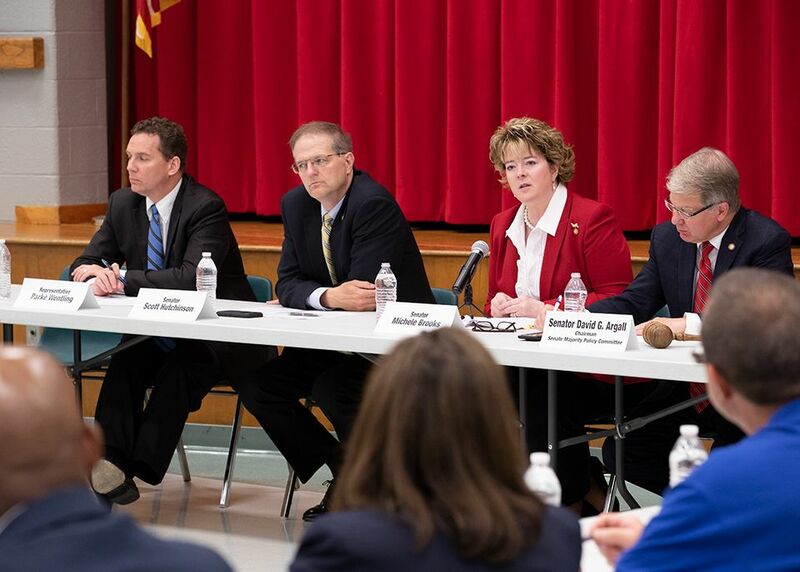 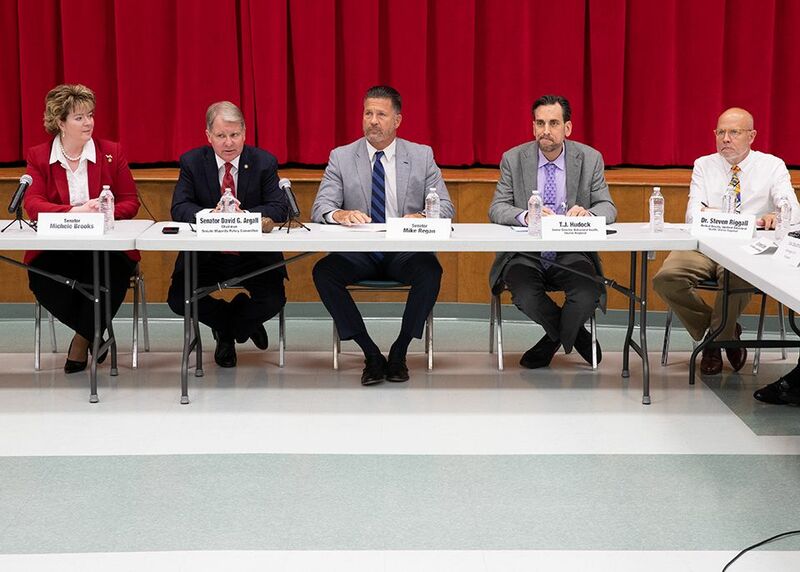 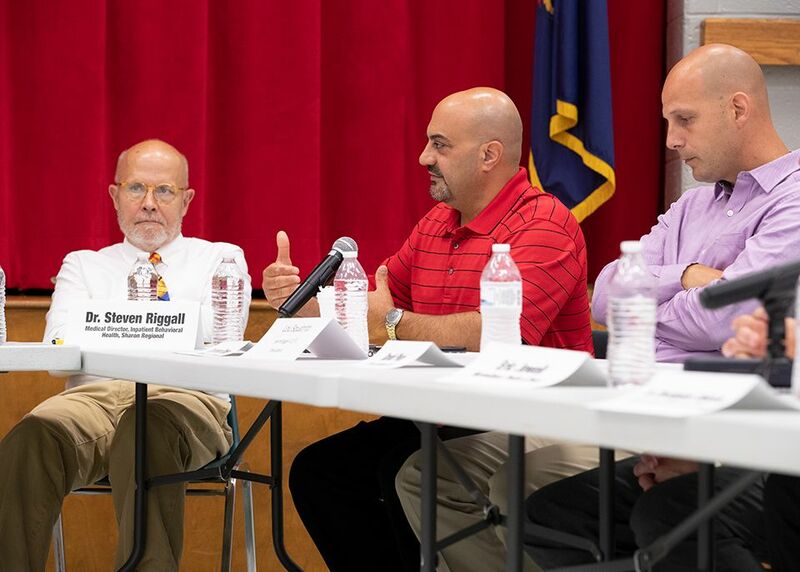 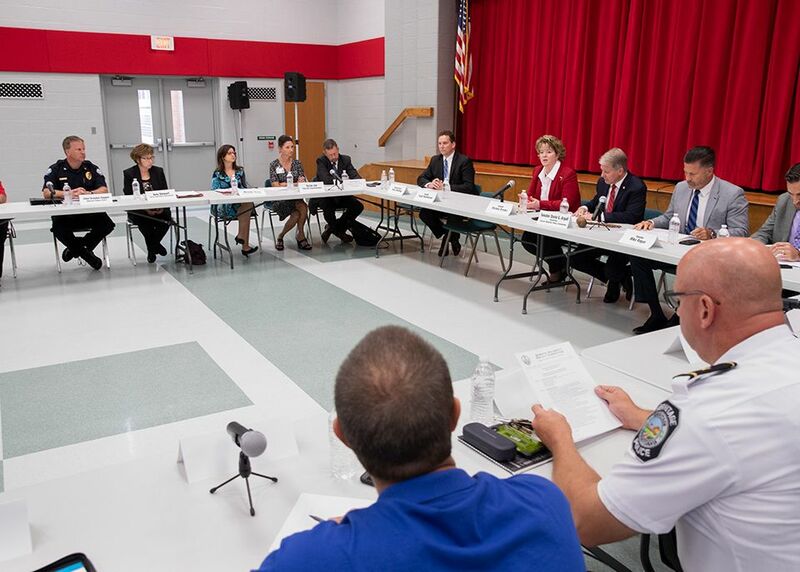 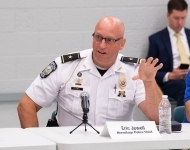 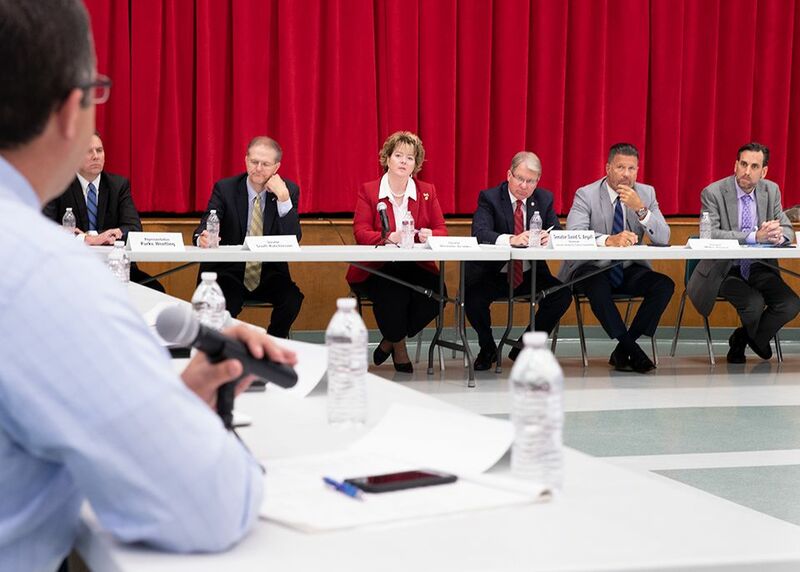 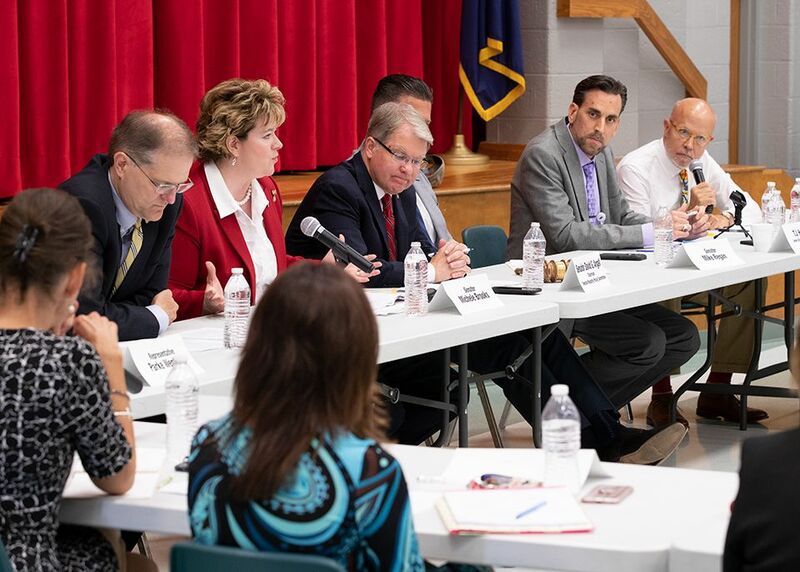 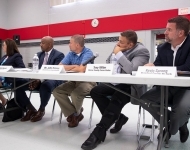 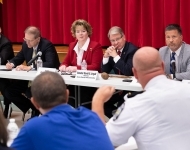 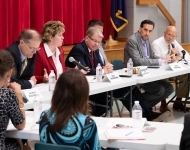 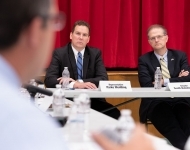 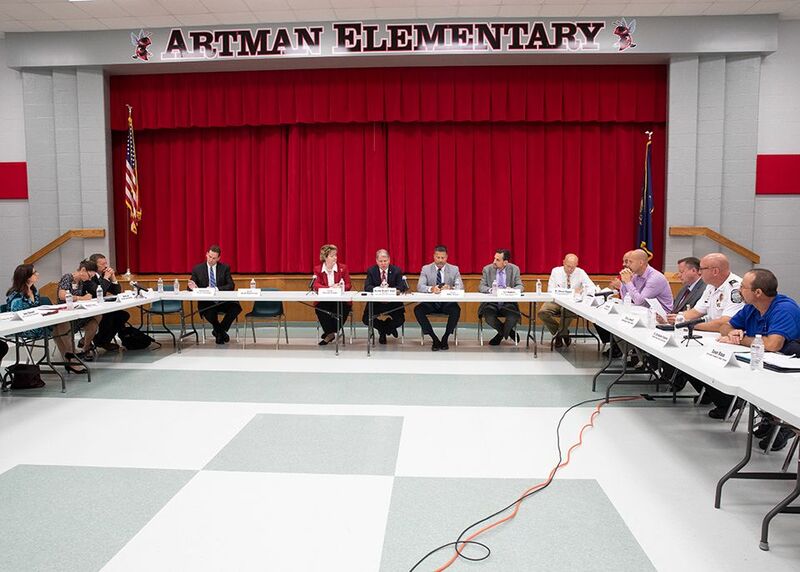 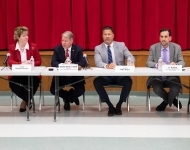 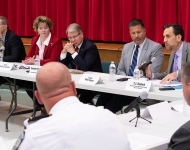 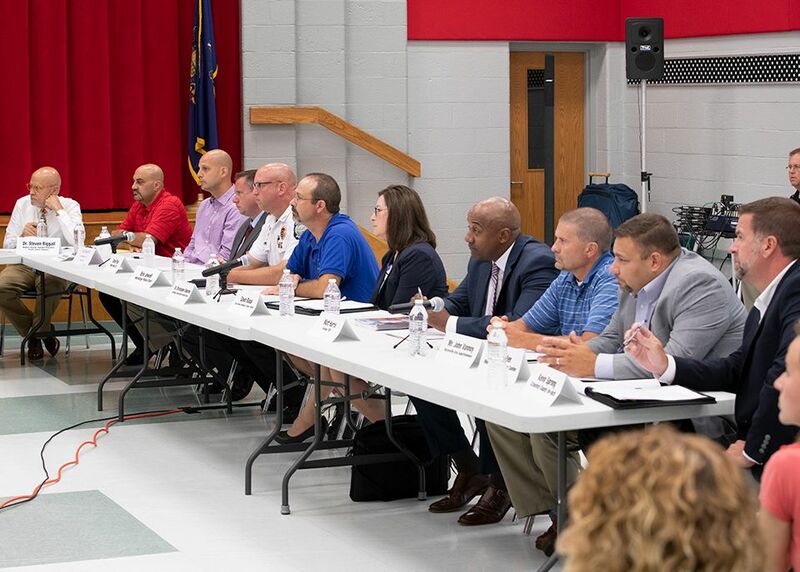 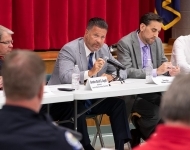 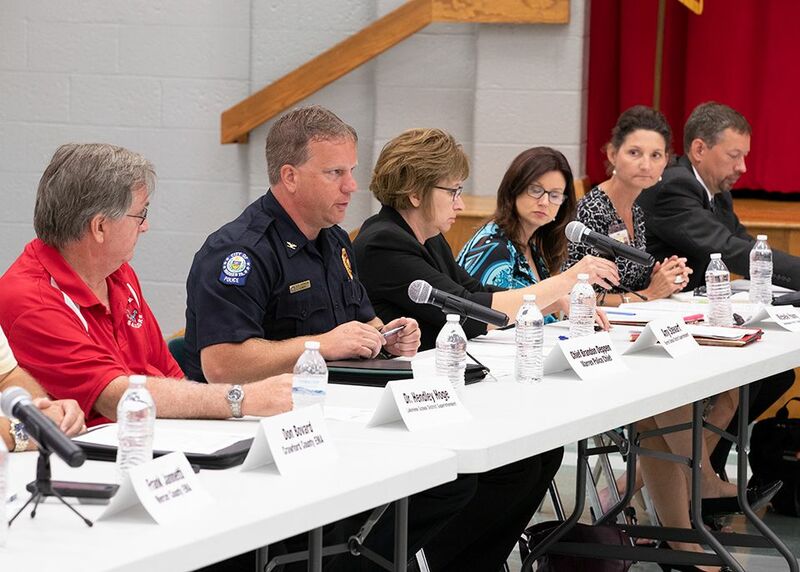 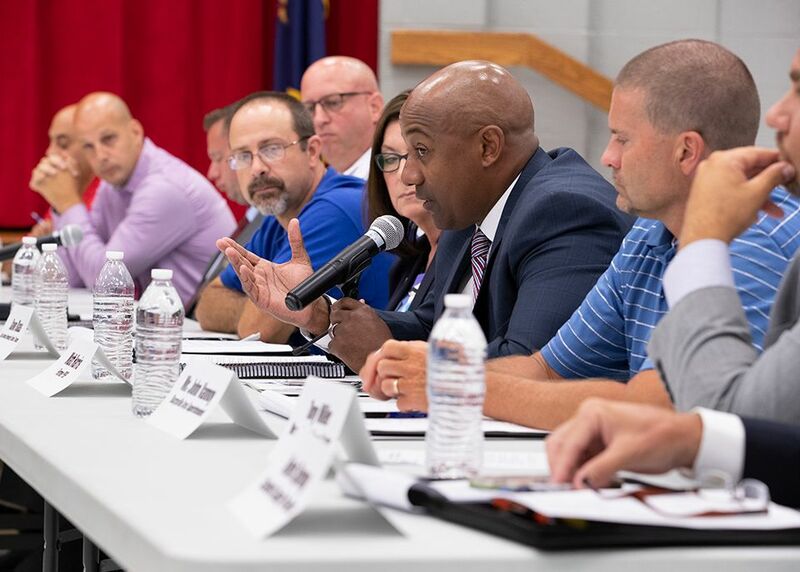 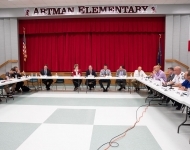 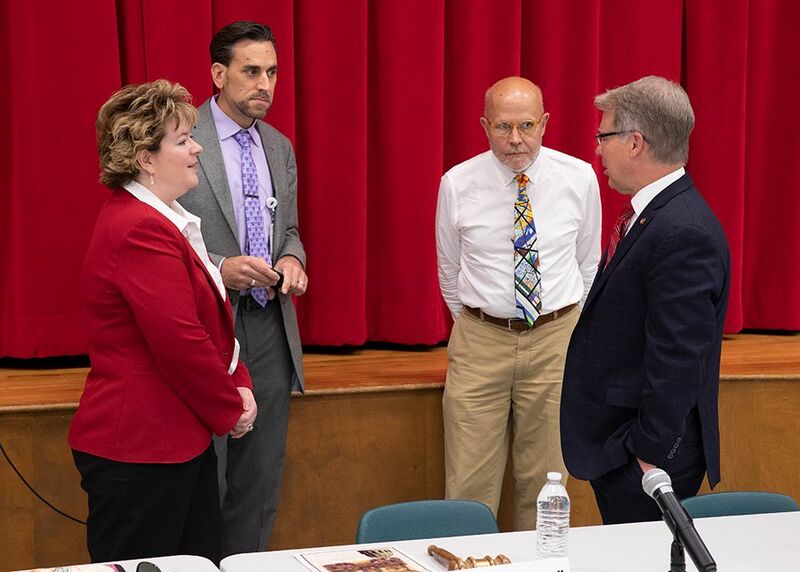 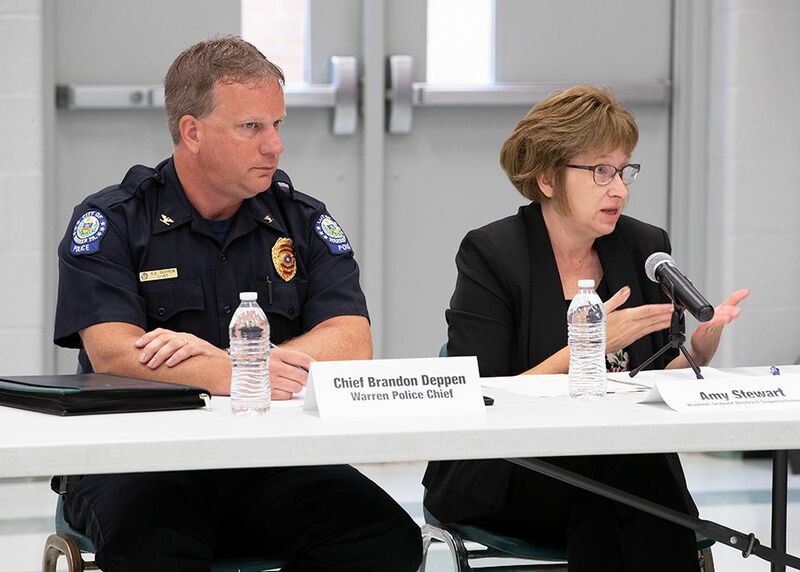 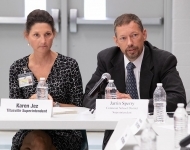 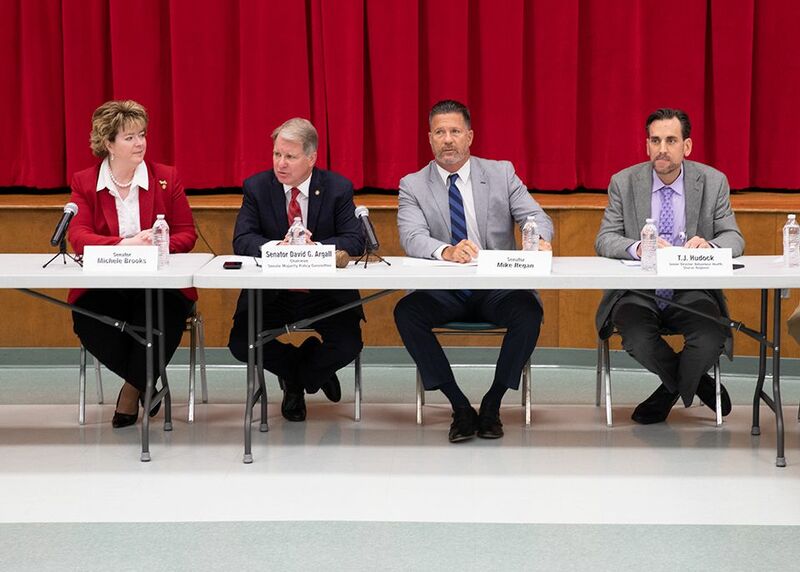 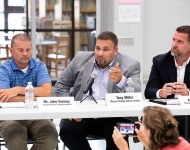 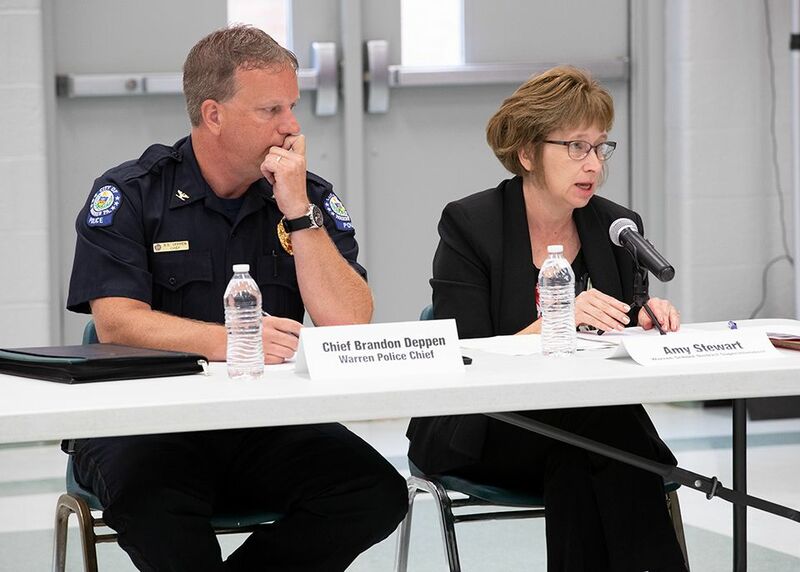 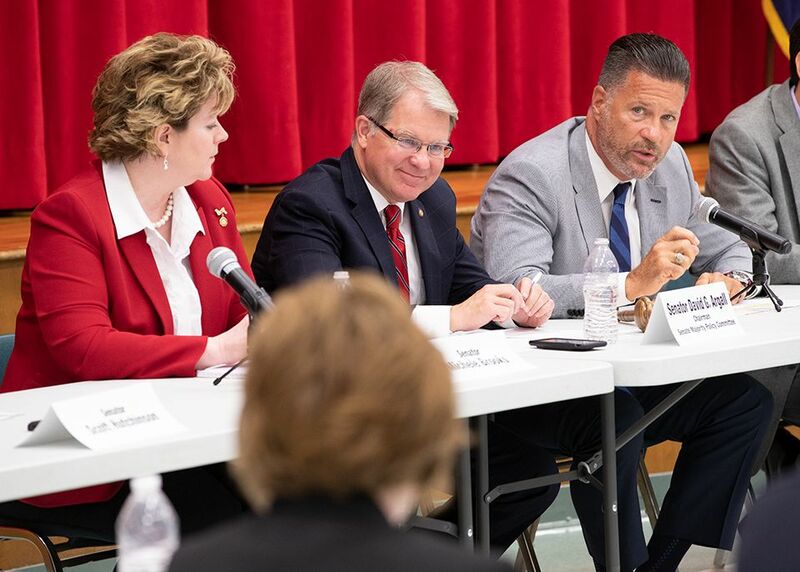 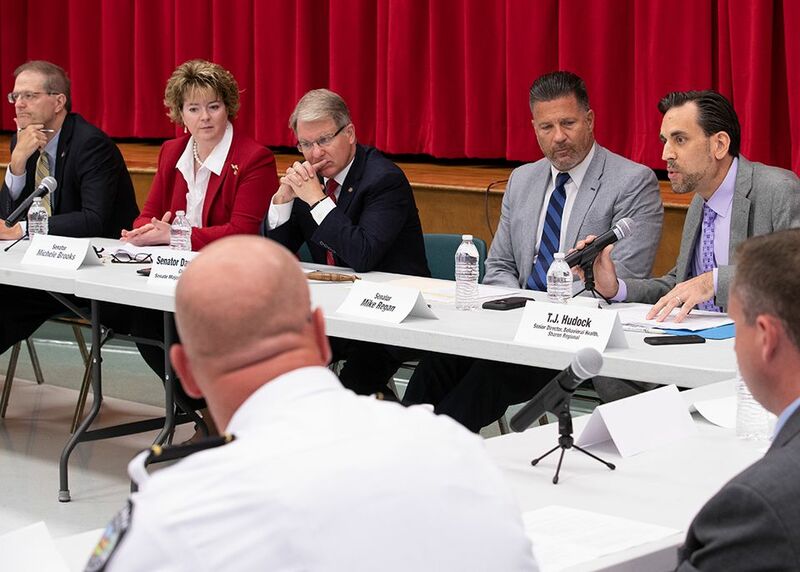 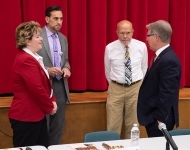 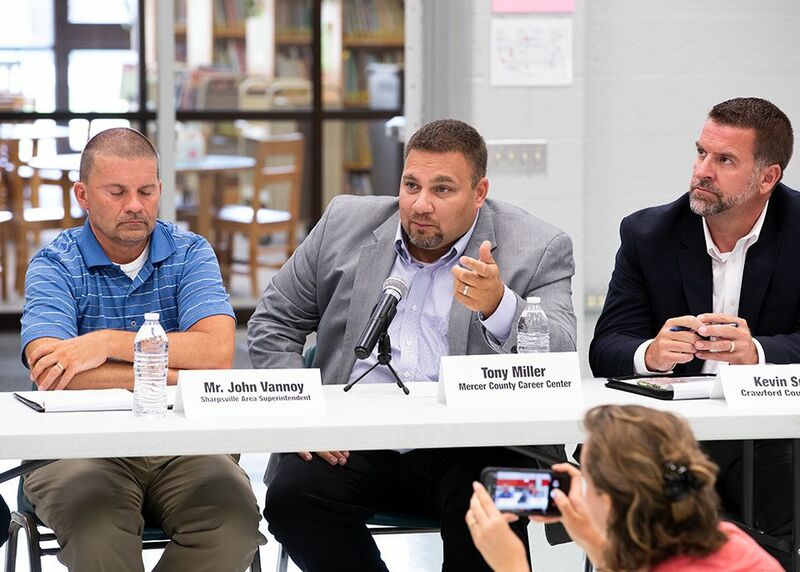 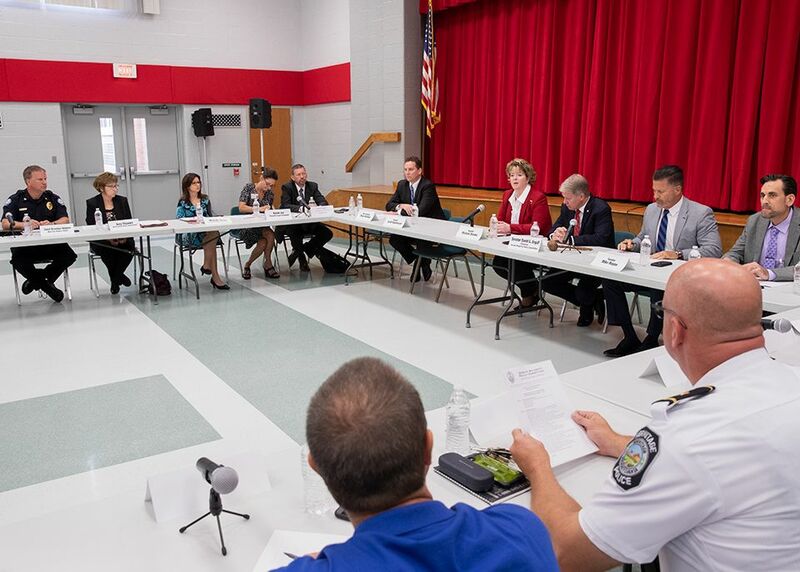 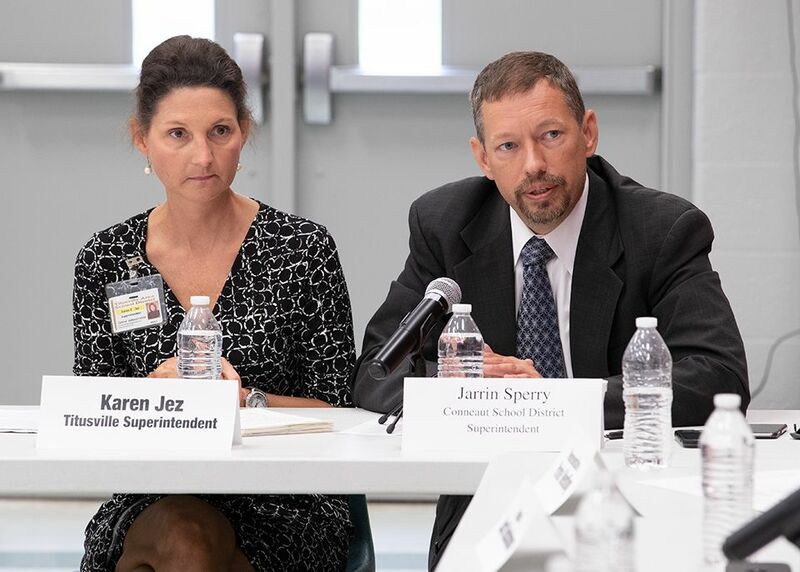 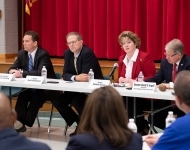 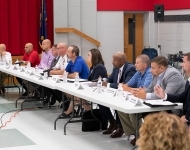 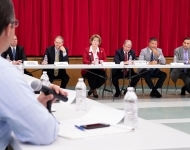 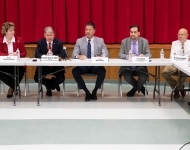 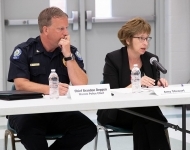 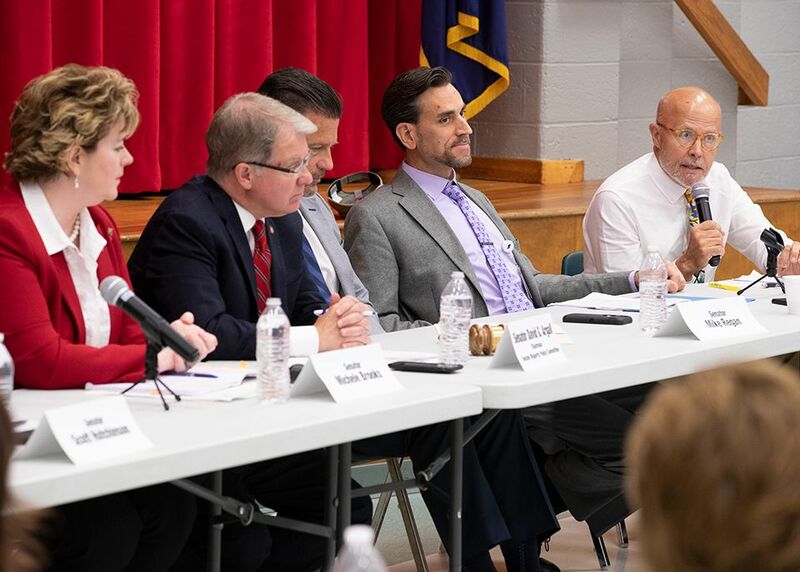 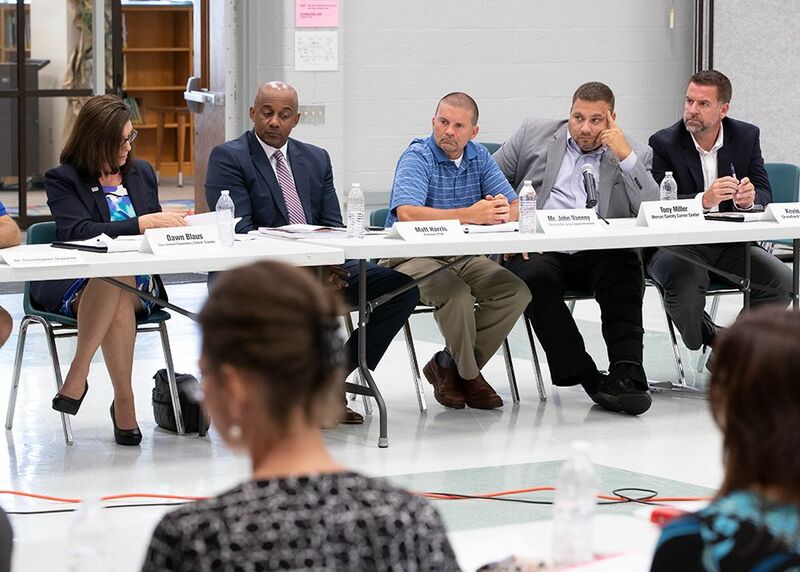 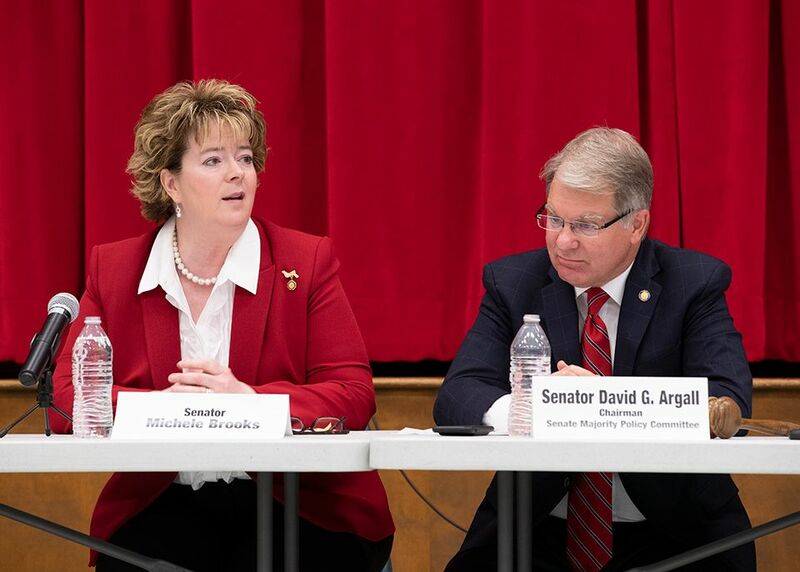 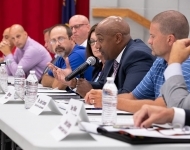 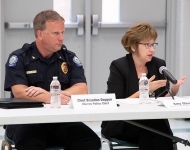 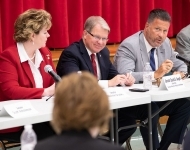 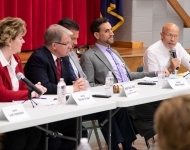 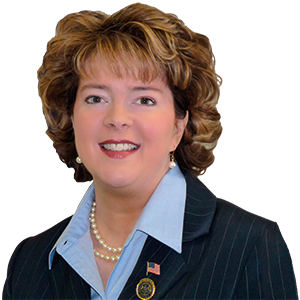 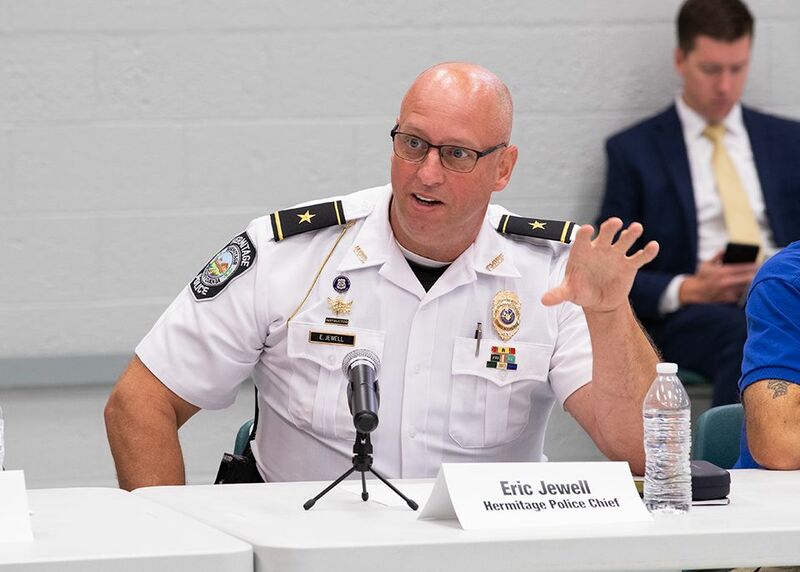 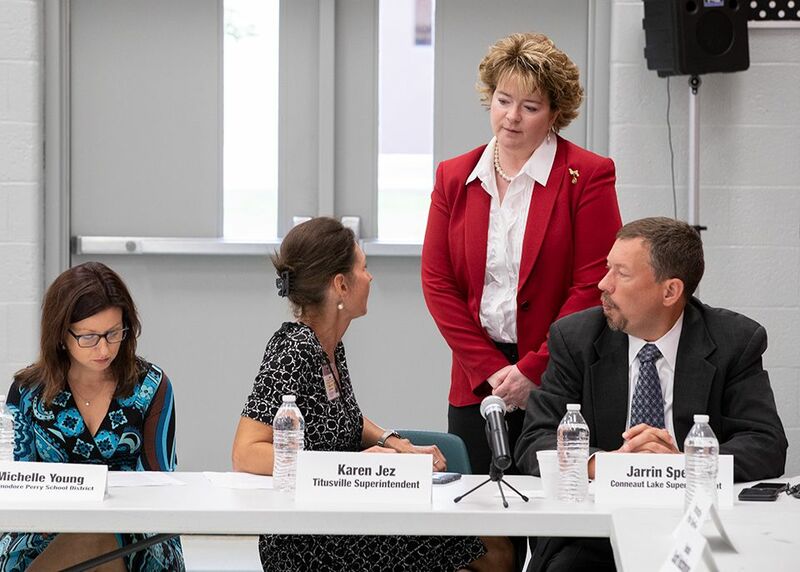 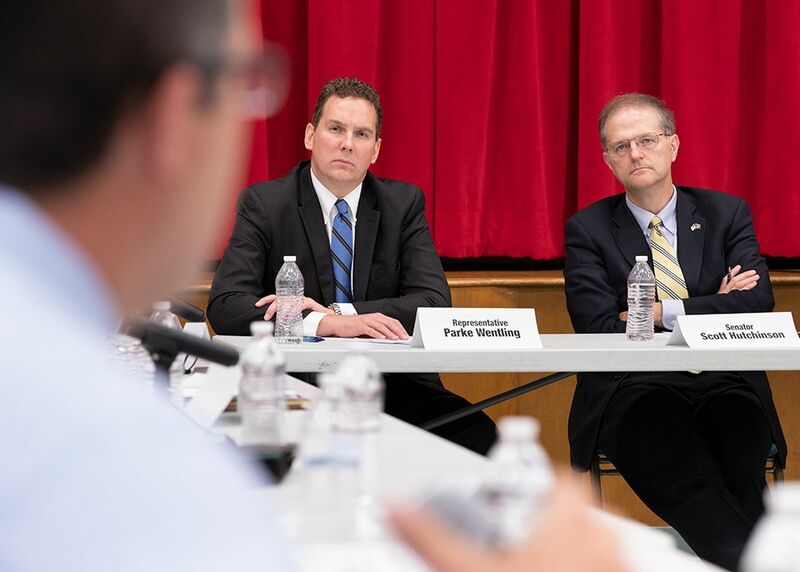 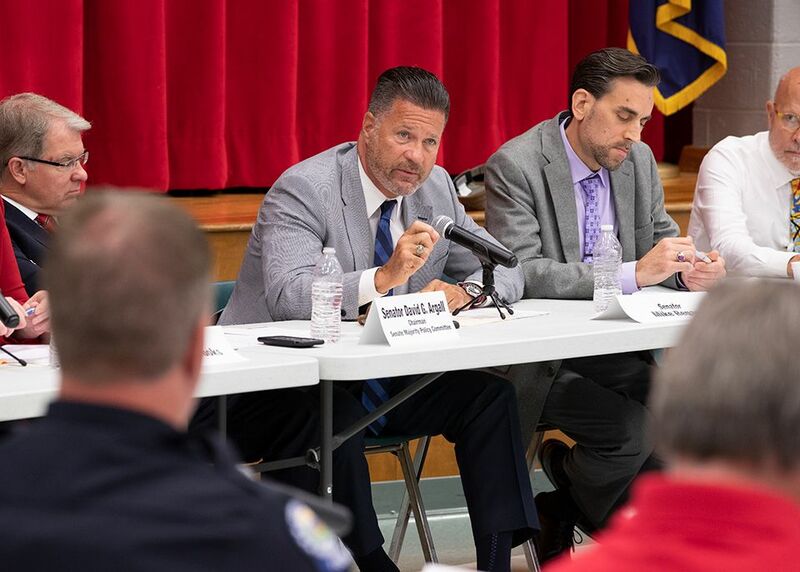 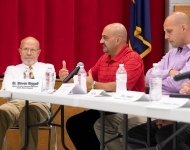 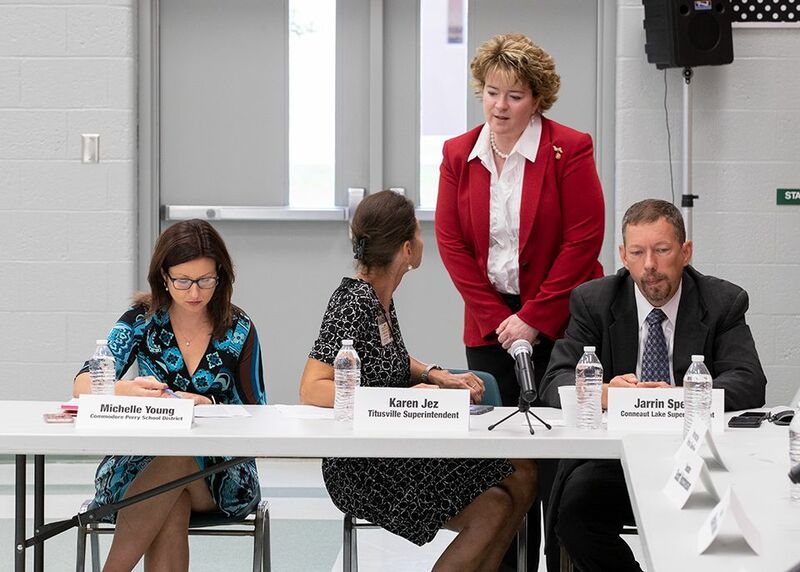 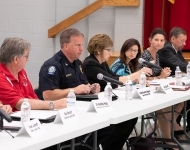 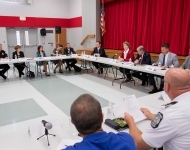 At a 100-minute roundtable discussion on Aug. 7, the group examined the role of school resource officers, teacher training, violence prevention, and other topics. 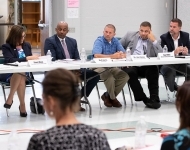 The conversation does not end here, as Sen. Brooks takes the recommendations and concerns back to Harrisburg to help scale challenges and implement effective and enduring improvements.